Coffee in Pittsburgh, Crazy Mocha is everywhere! As a budding freelance web designer in the City of Pittsburgh, I spent the majority of my days at the Crazy Mocha in Shadyside. Back then you could still smoke there, and between the puffs and clouds of chatting college kids studying over late night coffees and business types meeting up for lackadaisical “meetings” in the early A.M., I managed to start a career that would eventually launch me into what’s shaping up to be a lifetime of traveling this grand ol’ world. The coffee is good, the service is typically great. They’ve blossomed from a few sparse locations to become the “local Starbucks” of Pittsburgh, in that you can find one in just about every neighborhood you end up in. Visiting the Children’s Museum with the kids in North Side, grab a cup at the corner of Federal and North, where as a college kid my roommate had $35 stolen from him in an attempt to buy a bag of marijuana, and two blocks south we were robbed at gunpoint in dorms provided by the Art Institute of Pittsburgh. Those days seem to be long gone though, with two new stadiums and some major renovations to the North Side, you’re more likely to catch a cold after a Steeler’s games than catch yourself in the throws of a good old fashioned mugging. Or maybe you’re working off a hangover with some old college buddies in the Southside. 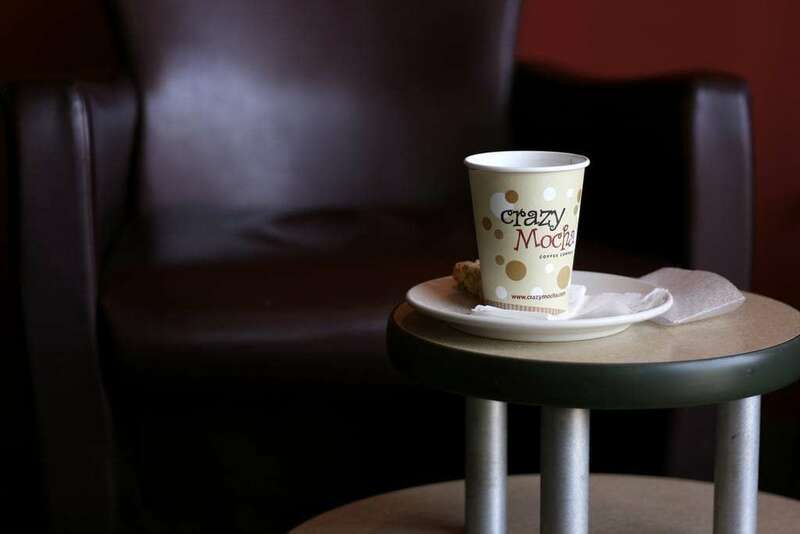 Crazy Mocha is nestled between the big chain clothing stores in the Southside Works. Ten years ago the very same area wasn’t even considered part of Southside, but more of a decaying few blocks of nothing you might run off to take a pee in between bar hopping. Hipster Lawrenceville, Italian-grown Bloomfield, the afore mentioned upscale Shadyside, the dorm room that is Oakland, they’ve all got a Crazy Mocha. There must be five or six just in downtown alone. I would sit at the tables and listen to the conversations of my fellow Pittsburghers, recanting tales of final exam showdowns with one last all-nighter’s worth of studying, how the Pirates are “gonna fin’ly doit dis year,” or watch as two jogging mothers tried to ignore their terrible two year olds’ cries for a giant chocolate chip cookie. Pittsburgh has an amazing selection of coffee shops, and though Crazy Mocha isn’t always the hippest, or the coziest, there’s just something about it, perhaps nostalgia on my own part, that I’ve always loved and preferred to the others. To be fair though, and if you’re the type to stray from chains, even if they are local to a particular city, you might want to two wheel it to Tazza D’Oro, a bicycle friendly coffee shop in beautiful Highland Park, a neighborhood dominated by the same massive, beautiful houses found in Shadyside, and home to the actual city park of the same name. The Beehive in Southside has been pushing coffee to punk rockers, hippies and old men remembering their own similar days in a sort of newspaper mural setting for years. Also in Highland Park is Cafe Ola Appetite, a little cafe in an old church that’s part of the Union Project, which is definitely worth Googling more about, but basically it’s a community action type initiative dedicated to putting people to work, providing a space for the community to gather, things like craft fairs and ceramics classes and all types of other warm and gushy stuff that is at the heart of what’s brought Pittsburgh out of its history as smoggy Steel City and into the open possibilities that is now the City of Bridges. Last but not least, I’d be remiss if I didn’t mention a particularly fine little gem that I consider perhaps my favorite store in all of the city: Oh Yeah! Ice Cream and Coffee. A tiny shop that is seemingly continuously being redecorated and always fun to just sit in, let alone try their wares, lives on Highland Avenue just before Shadyside turns into East Liberty (right before the bridge at Ellsworth). 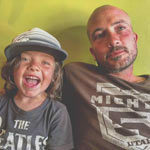 The owner is a really amazing guy and his vision for a space is more than just “get it done, sell some coffee”.